Edward Terence ‘Terry’ Mudie joined the Royal Navy before the war. In June 1939 he married in Chelmsford. The following May he took command of H.M.S. Abel Tasman used in the Dunkirk evacuation and later further evacuations of Allied forces from other French ports. While attemping to return to port at Poole, Dorset the ship was sunk by a mine in the English Channel, killing Edward and eleven others. His home was in Duke Street, Chelmsford. Terry was born on 15th October 1911 in Dinapore India, the son of Dorothy Lavinia Mudie. He joined the Royal Navy before the outbreak of the war having previously been a merchant seaman with the British Indian Steam Navigation Company. On 10th June 1939 Terry married Monica Mary Hawkes, the only daughter of Mr. and Mrs. Charles Hawkes at the Church of the Immaculate Conception in New London Road. Terry’s father-in-law was the founder and chairman of the Chelmsford sweets manufacturers, Messrs. Hawkes Brothers of New Street. On 29th September 1939 the National Registration found Terry and his wfe resident at 141 Elm Grove in Portsmouth, accompanied by 12 other people. By that time Terry was already serving as a Lieutenant in the Royal Navy and is known to have been stationed at H.M.S. Excellent, a Royal Navy shore establishment near Portsmouth. 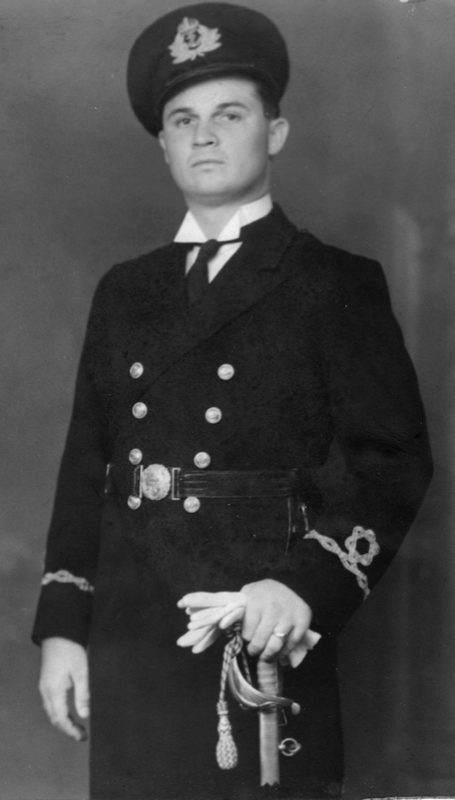 In May 1940 he was put in command of H.M.S. Abel Tasman, a Dutch vessel of 314 tons taken over by the Royal Navy to participate in Operation Dynamo, the evacuation from Dunkirk. Afterwards the ship was assigned to Operation Cycle, the lifting of troops from other French ports with Terry still in command. On 11th June 1940 the ship sailed from Poole in Dorset to St. Valery along with a number of other vessels. In fog H.M.S. Abel Tasman became detached from the main force. Attempting to return to Poole, on 13th June 1940 she hit a mine in the Swash Channel which exploded, sinking the ship and killing Terry and eleven other men on board her. Terry was aged 30. At the time of his death his home was at 27a Duke Street in Chelmsford. Terry is commemorated on the Portsmouth Naval Memorial. He left an estate valued at £685 10s. 2d. to his widow who remarried in 1951. After his death two memorial prizes in his honour were created at St. Phillips’ Priory School in New London Road, Chelmsford.